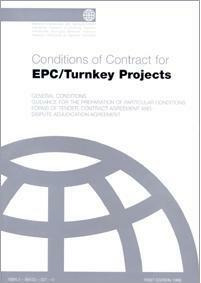 Employers are increasingly looking for greater financial certainty when seeking large infrastructure projects under EPC or Turnkey contracts. Under these contracts the Contractor is fully responsible for design, construction and management complete so that when the project reaches practical completion, the Employer needs only to ‘turn the key’ and operation of the plant or facility can begin immediately. The whole point is that the Contractor accepts the price risk in return for the freedom to decide over how he delivers the project, provided of course he meets the ‘Employer’s Requirements’. It can often be the case that Employers want the price certainty that this procurement route offers but also want to retain control over design approval and how the project is actually delivered. If the Employer attempts to introduce many or costly design improvements under the guise of reviewing the Contractor’s documents against the Employer requirements this can lead to the Contractor claiming ‘Design Creep’. This entry was posted in Posts and tagged Contract Law, Contractors Documents, Design Creep, Design Variation, Design-build, Employers Requirements, FIDIC Silver Book. Bookmark the permalink.